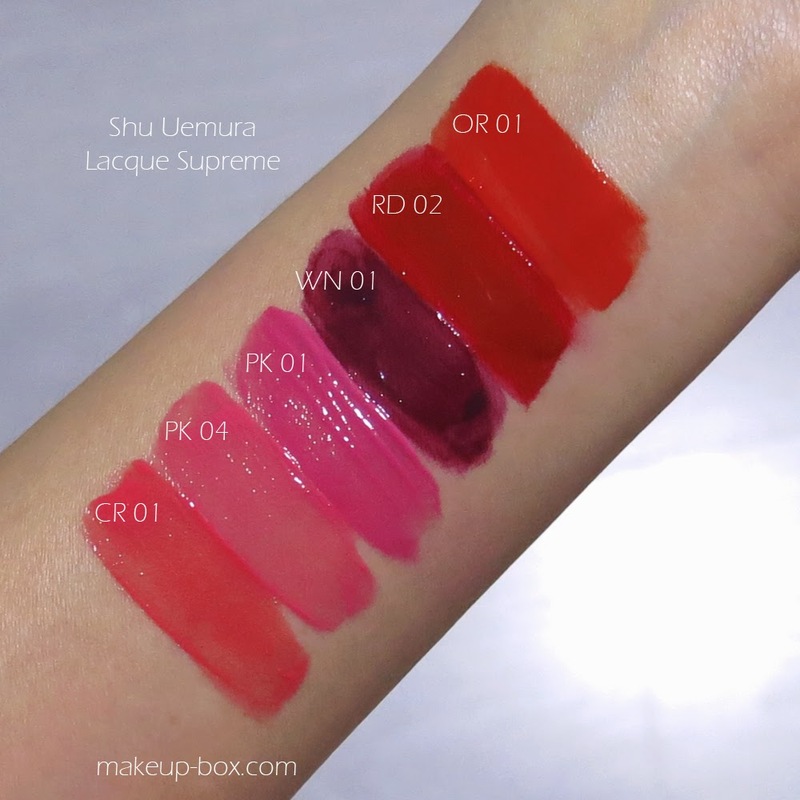 Shu Uemura launched their own versions of the glossy gel stains quite late, considering sister-brand YSL launched it several years ago, and various our other brands - including the budget ones - followed in the last few years. But for fans of these stay-put jelly-tints, it's better late than never! The question is how these compare to the previous versions of jelly tints on the market. Well after a few days of try, I'll say some things are similar. The volatile oil formula allows the product to go on very juicy and liquid, then slowly set into a shiny gel-like layer on the lips, which is not budge-proof but still semi-resistant to transfers. If you've never tried these gel tints before, you'll be happy to know the best benefit is you get the lasting power of lipsticks but the translucent glossiness and effect of glosses. I don't have the whole set of shades to show you but these were just 6 that I personally picked out of an image line-up to review for you. I do still stick to my original theory that most of these jelly tints look best from a medium to strong shade range. They don't look that good when they're too pale pale (they can settle and sit in lines) or when they extremely dark (they can look patchy and uneven). That's especially true for the Shu Uemura formula because it sets slightly faster than most other gel tints I've tried. The key thing is to remember with Laque Supreme is you're working with a texture that will set quickly from liquid to semi-solid, like jelly. And once that happens, applying more on top of the first layer will not dissolve the layer below. Then it literally looks like you get a few different layers super-imposed on top of one another. This is the one thing that makes this formula a bit harder to work with than something like YSL Glossy Stain, which takes much longer to set and can be blended and smoothed out while you're building up color. The good thing is this formula is very pigmented and goes on and stays intensely glossy. 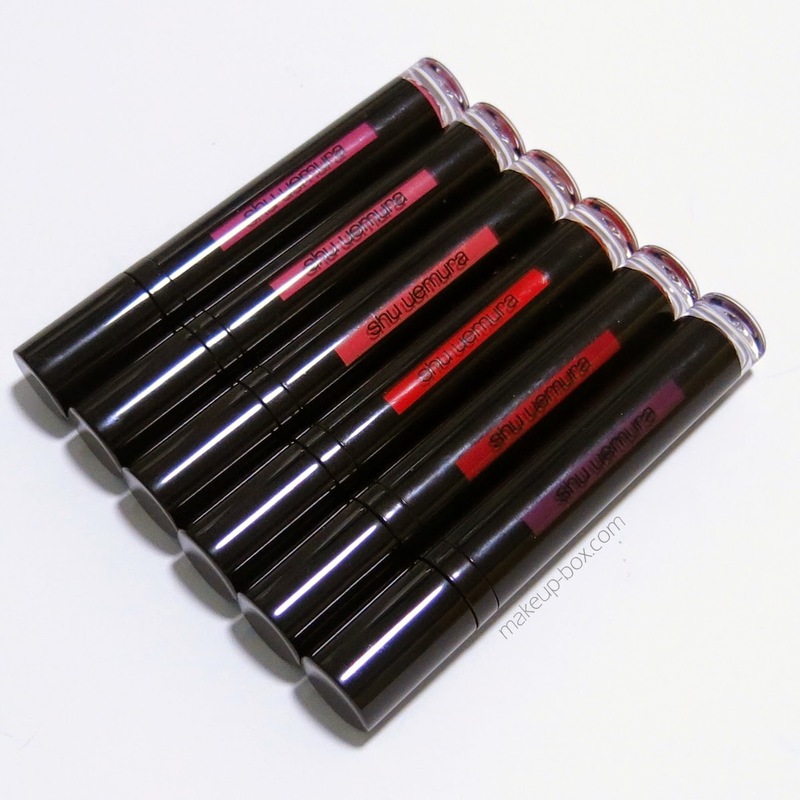 A lot of the thinner, cheaper lines have gel tints that look almost like traditional lip stains (all color, no gloss). I wouldn't say it's quite as glossy and pigmented as Dior's Fluidsticks, but it's somewhere between the Diors and YSLs in texture. There IS one thing you need to watch out for with these: When the product is setting, you CANNOT press your lips together to try and even out the product. I did that and the product ended up peeling up off one lip and sticking to the other in patches. If you have a habit of rubbing your lips together through the day, this is not the product for you. Have you tried these and what's your opinion on them? awsome The app's up to date design pushes jointly snapchattrophiess.com Lenses allow you change your encounter into something nice. good this content to understand even more about this. check this site you will get ready to mount Mobdro APK without the concern. nice. good Mouse click on install button and afterward on Conditions and State to agree filters for snapchat you can put a caption or drawings to images or video tutorials. great. good you about how to download PicsArt for PC, earlier Psiphon Download Truly said if you would like to help to make your picture nice. good when you own any trouble accessing an software from take up retail outlet play store install therefore it immediately downloads available nice. good Pokemon Move enables you to discover and capture Pokemon. official website In the notifications,you will find once the record gets downloaded . Pokemon GO App nice. good is a market leader in the production, provision fleck 5600 selections when choosing the particular type better. good is the excellent selection for its users available with different groups. vshare android program, select any kind of application and also hit mount, nice. good review of each water softener. So, exactly what are we waiting. Best Aquasana Water Filter Shower recognized to last longer compared to various other nice. Great Slack, as the features it sustains are very slackdownloadapp You could download and install and also Fine. good After mounting Aptoide you have to include aptoide on Aptoide we can create our own "application store", best.